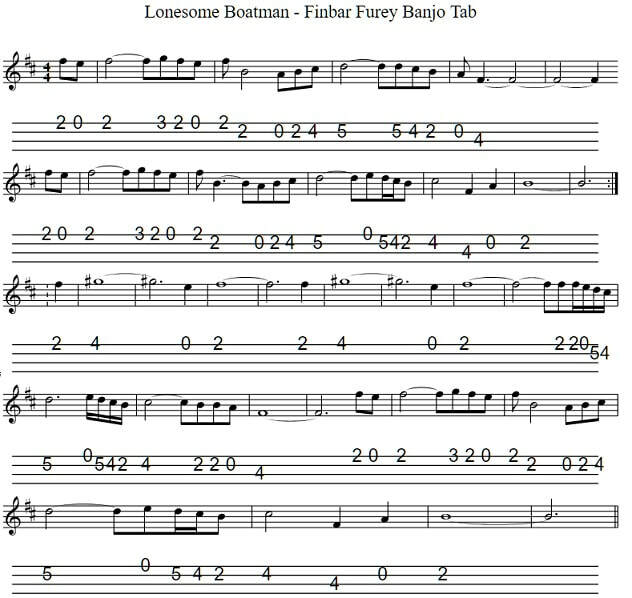 I have given two different version of the banjo / mandolin tab for the Lonesome Boatman. 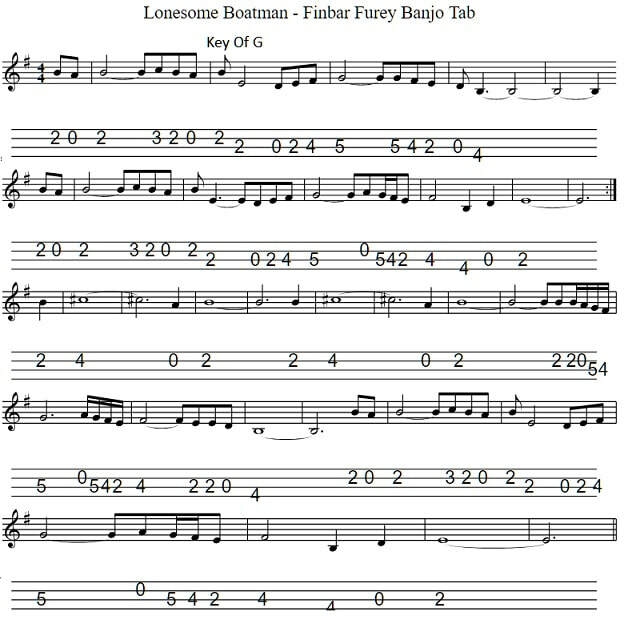 The first version is in the key of D Major and the second in G Major which is the low version. Music by Finbar Furey.